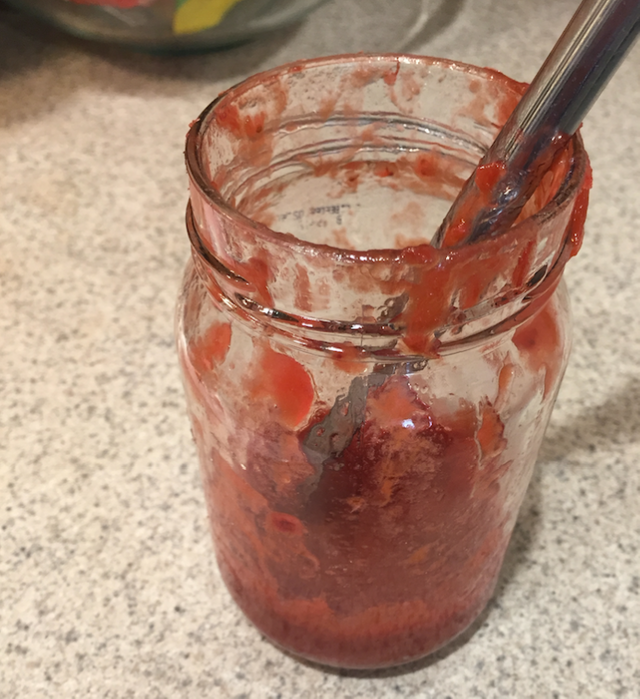 Small Batch Strawberry Rhubarb JamsteemCreated with Sketch. My father in law gifted us a Rhubarb plant when we moved into our home over 10 years ago. 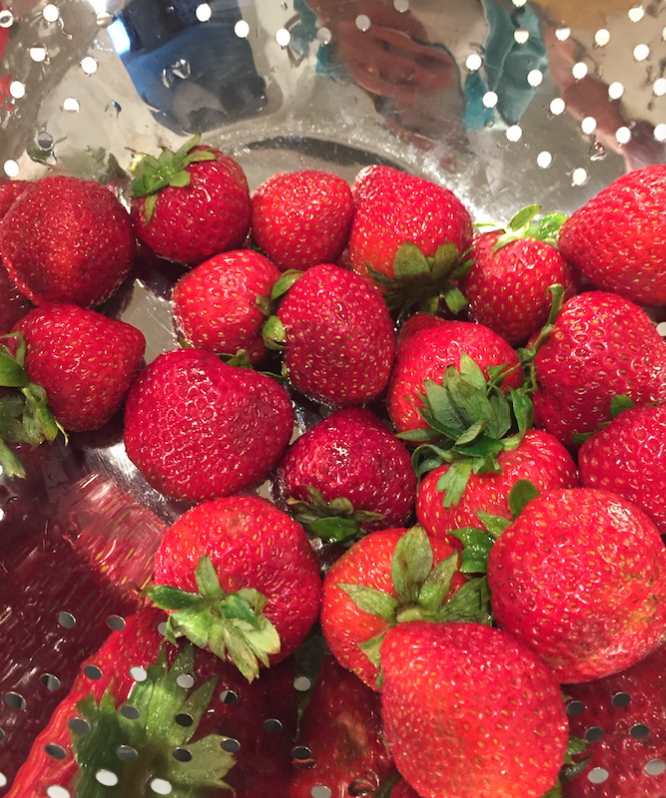 It's a beautiful plant with deep red stems that pack a wonderfully tart taste. This year I wanted to utilize the plant as much as we could. We always make strawberry rhubarb pie, but I wanted to do more. I found this awesome website, rhubarb-central.com that is dedicated to rhubarb. On that website they had a recipe for Strawberry Rhubarb Jam that uses honey instead of sugar for the jam. With my husband, @qwasert being a beekeeper we have an abundance of honey and are looking for ways to use. This recipe seem like the perfect fit. The jam has the perfect balance of tart and sweet with honey overtones that are so delicious. My girls love the jam and I love not feeling as guilty about them eating it. I'd love to share this recipe with you. 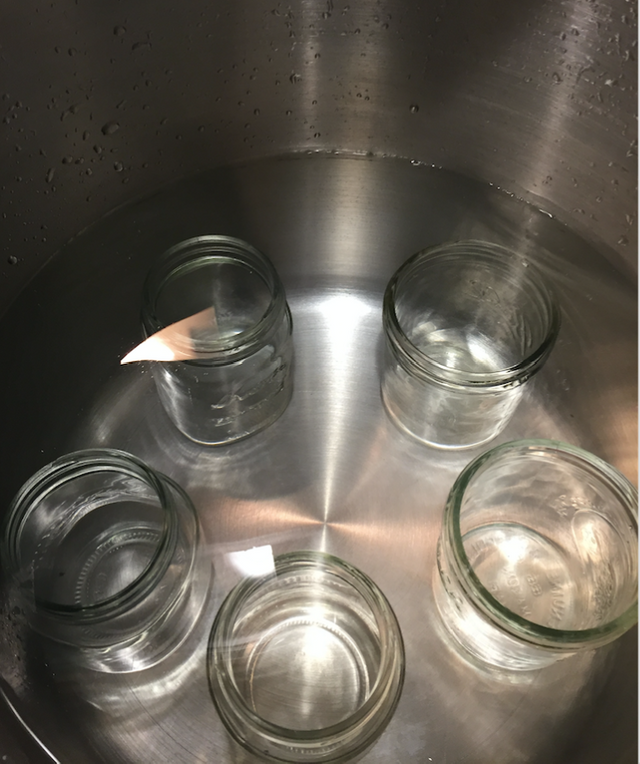 Sterilize your jam jars, this recipe makes 2 pints or 4 half pints of Jam. 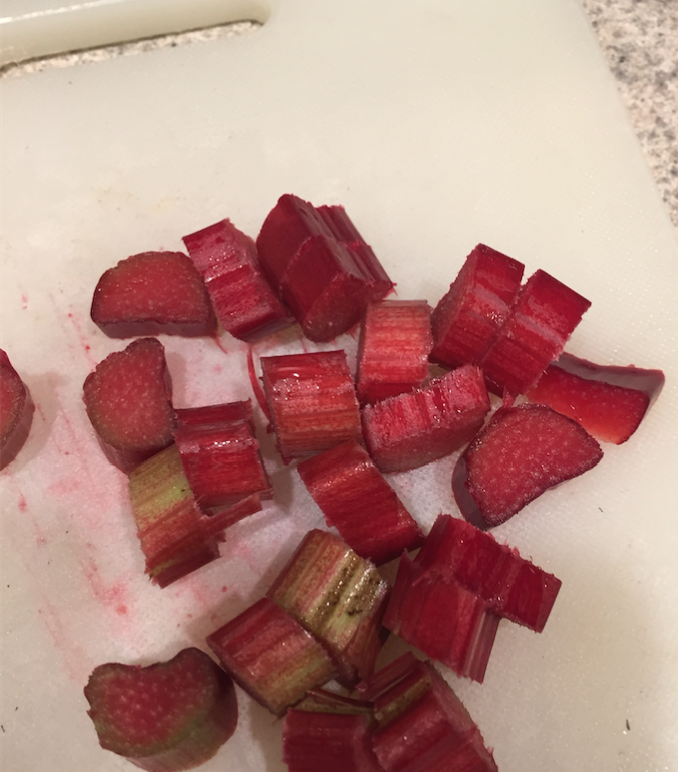 While the jar are sterilizing, go ahead and chop the Rhubarb into pieces 3/4 to 1 inch in length into a non reactive pan. 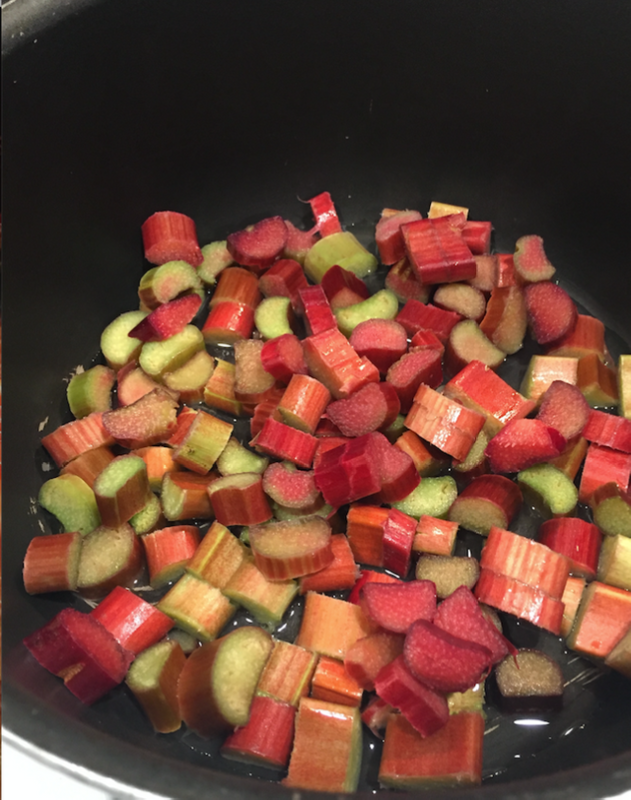 Next add 1/2 Cup of water to the Rhubarb and cook until tender. About 10 mins. Next wash and slice your strawberries into halves. 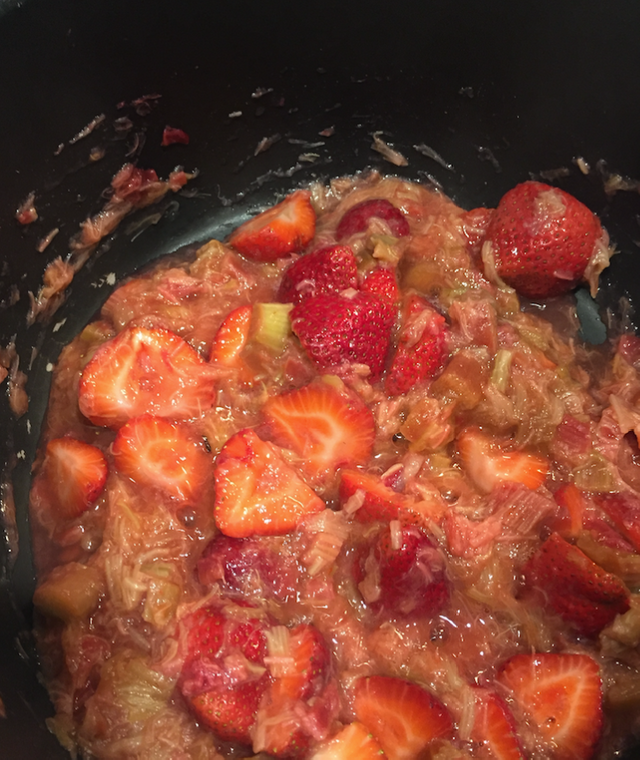 Once your rhubarb is soft add the strawberries and cover and simmer until the berries are softened. About 5 minutes. Add honey and bring to a boil. Stirring constantly to avoid the mixture sticking to the bottom of your pan. Next add the pectin and boil hard (bubble don't go away while you stirring) for one minute. Remove from heat and skim any bubbles off the top of the Jam if necessary. 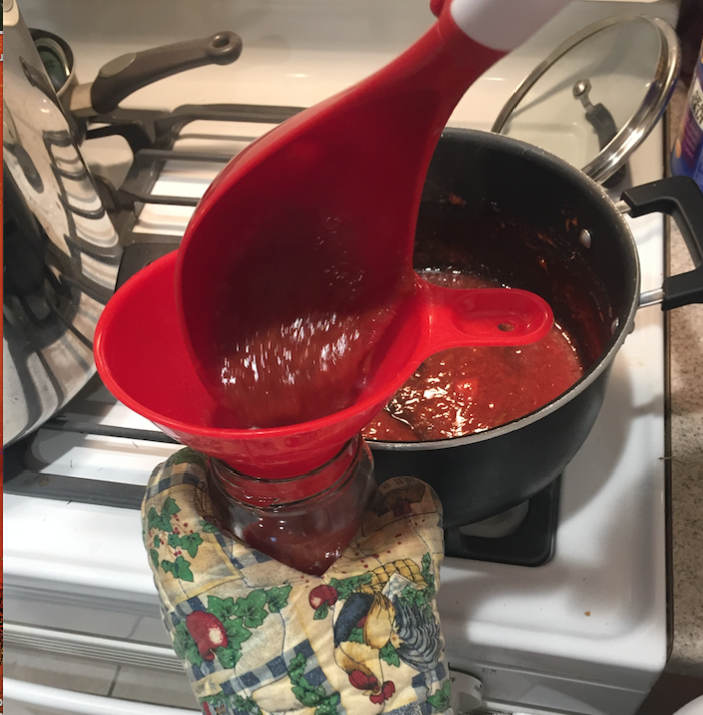 Ladle into your warm Jam jars leaving a 1/2 inch head space. Wipe jar and seal with warm sealing lids and rings. 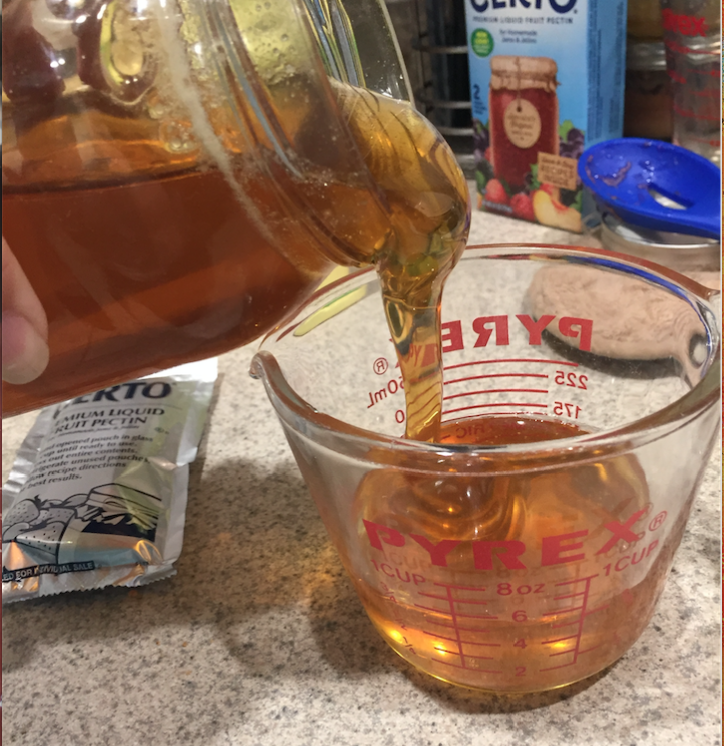 Place into a water bath and process for 10 minutes. This Jam will keep sealed on the shelf for months. After is it open I recommend storing it in the refrigerator. Me too!! It's the first plant up in the spring here. In the spring we have rhubarb, asparagus and horseradish all around the same time. Thanks for making this jam. I really enjoy this jam on my toasted english muffin and little butter. That 1/2 pint didn't even make it 24 hours. My wife, @funfarmgirl, knows her way around a strawberry rhubarb pie! I upvoted everyone that commented! Follow and comment: @funfarmgirl, she is very talented individual. Now you know...I married up. Congratulations! This post has been upvoted from the communal account, @minnowsupport, by qwasert from the Minnow Support Project. It's a witness project run by aggroed, ausbitbank, teamsteem, theprophet0, and someguy123. The goal is to help Steemit grow by supporting Minnows and creating a social network. Please find us in the Peace, Abundance, and Liberty Network (PALnet) Discord Channel. It's a completely public and open space to all members of the Steemit community who voluntarily choose to be there.